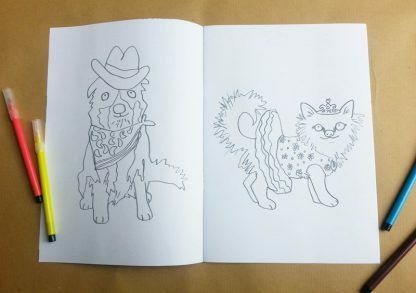 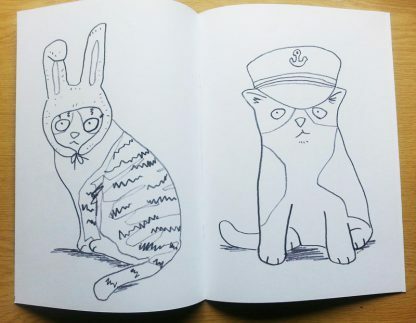 Colouring books for both cat and dog lovers, with this fab set of two books.’Cats In Hats’ and ‘Doggy Dress-Up’ colouring books are each filled with twelve hand drawn outlines of Cats In Hats, and of course Dogs dressed up. So thats twenty four pages of colouring fun! 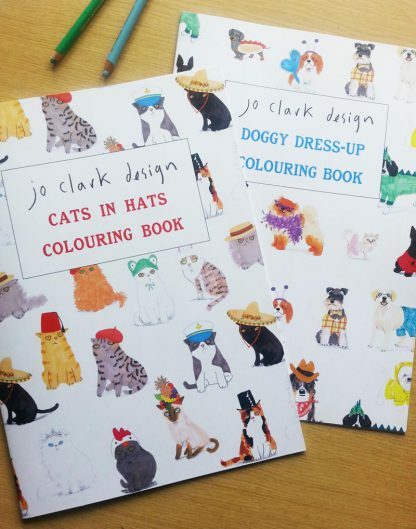 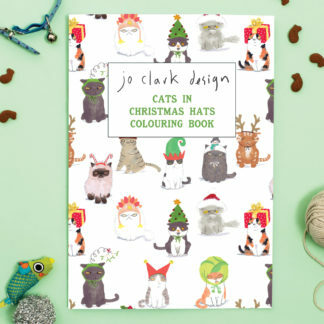 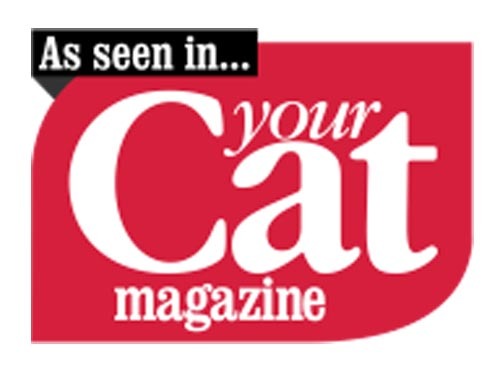 Perfect as a gift to anyone who loves cats and dogs, dressing them up and colouring in. 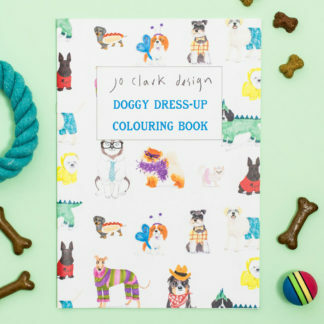 Or even a gift to your pet, ah if only they had thumbs to hold colouring pencils. 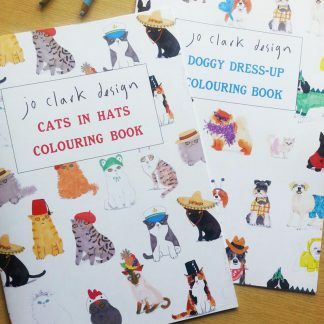 Perfect to be posted to friends or relatives across the world!Printed onto both sides of 160gsm FSC paper and bound with two staples in the centre of the book. 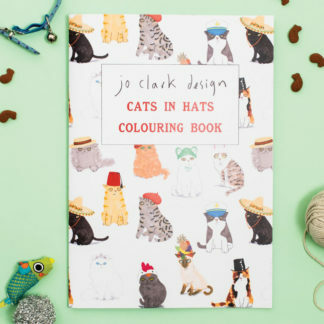 When opened flat book measures approx 40cm x 28cm.